Washington Elementary teamed up with the Artisan Shoppe & Studio to hold a “Cookie & Canvas” Family Art Night on Dec. 4. The evening was sponsored by the Washington PTO and lead by art teacher Ashton Saunders. Valerie Thomas and Kelsey Kerr of the Artisan Shoppe & Studio and Washington first grade teacher Kayla Rife assisted attendees with their paintings. 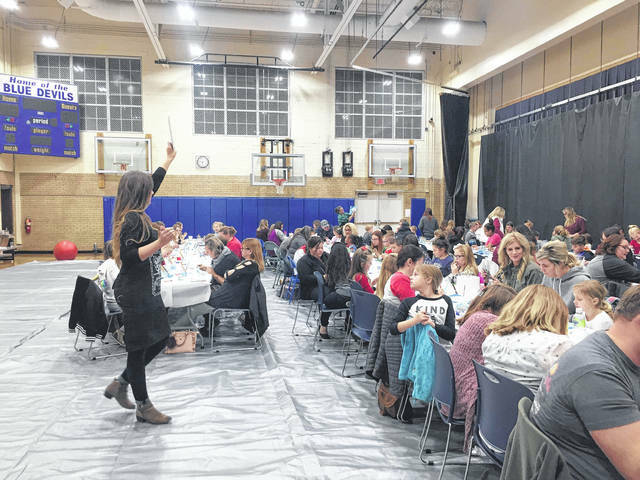 The evening held record attendance for the schools annual Family Art Night, with around 130 participants, who enjoyed cookies and punch while painting a picture of a snowman. The Gallipolis City School District art department plans art events throughout the year to provide exposure to the arts outside of students’ regular art classes.